Recently, Apple released iOS 7.1 Beta 2 to developers for testing purposes which bring several improvements and bug fixes at the table, and only those who are registered in Apple’s Developer program with registered devices. With the latest beta version, Apple has blocked the ability to update to latest beta firmware if you’re not a registered developer enrolled in Apple Developer’s program. This device is not registered as part of the iPhone Developer Program. If you are a member of the iPhone Developer Program, please register your device in the iPhone Developer Program Portal at http://developer.apple.com/iphone. 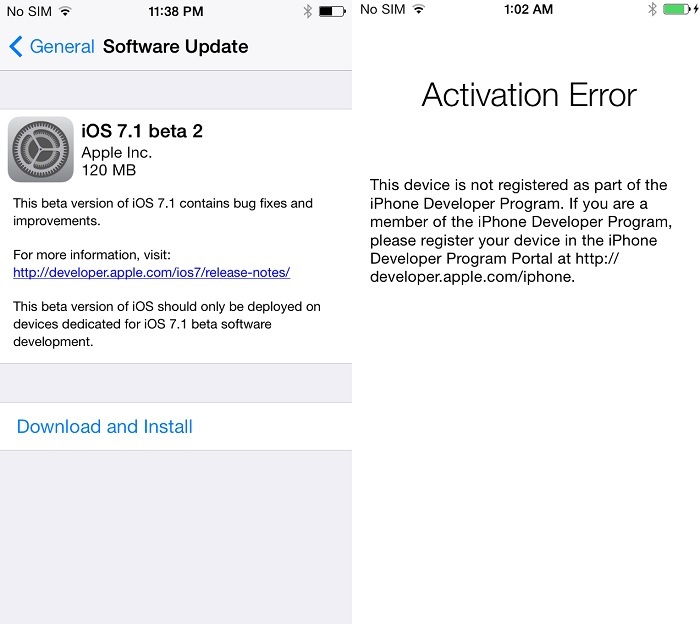 So, it is highly recommended not to update to the latest iOS 7.1 Beta 2 if you’re not a registered developer. The latest stable version is iOS 7.0.4 and users are recommended to restore to the general build rather than trying out the new iOS 7.1 Beta 2.